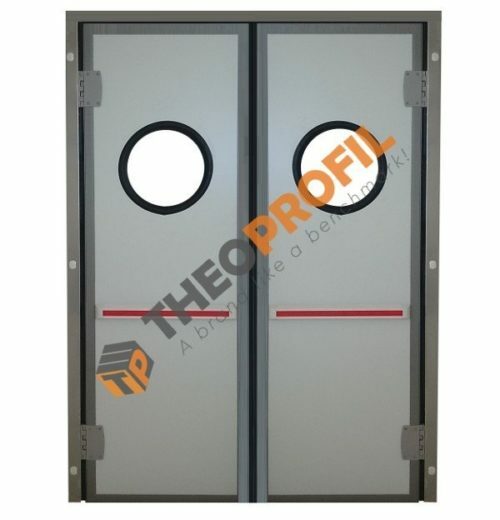 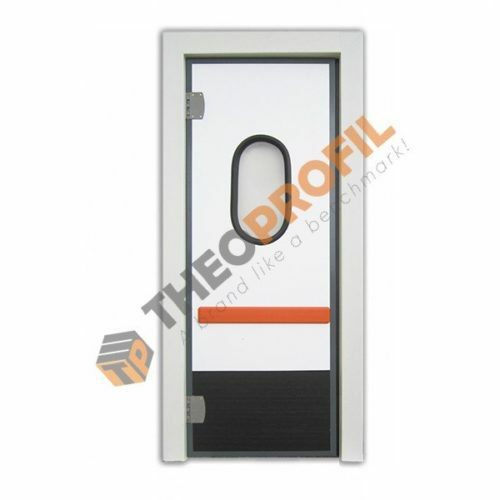 Door panel thickness 40mm consisting of two supports in prevarnished sheet metal, color Ral 7016 sandwiched with polyurethane foam injected at high density. 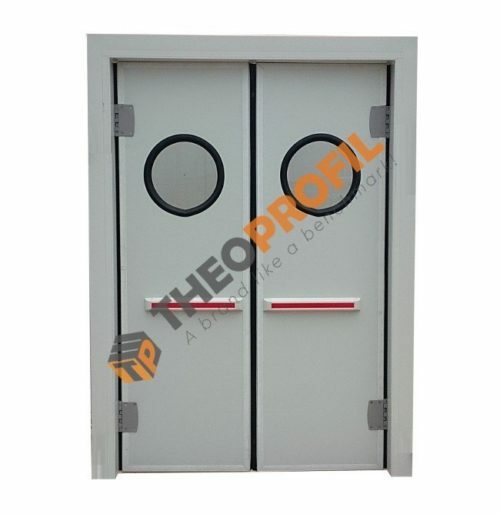 The hardware consists of 2 plastic hinges with return spring and a doorstop at 90° + crushproof gasket on the vertical edges. 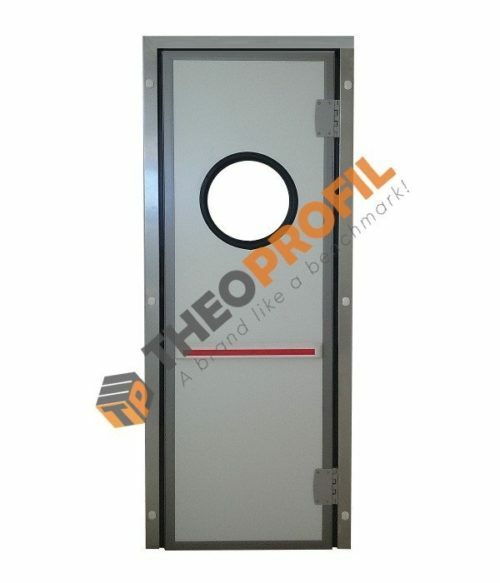 Trasparent window in polycarbonate with round edges gasket .